I’ve spent the whole day in my workroom! So far I’ve cut out a new quilt. 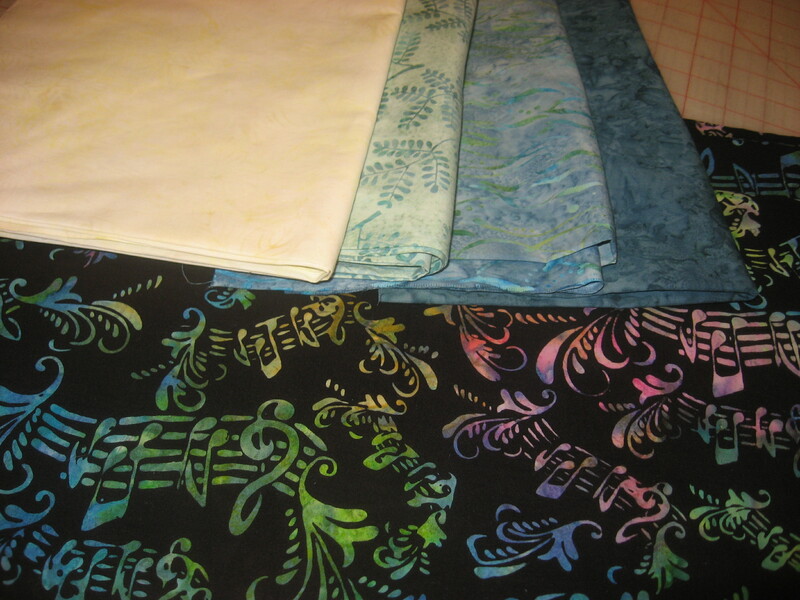 Here’s the fabric I’m using for it. I decided to put one of my UFO’s on Viqtoria. I finished 14 of my UFO’s in 2011. I’m so happy about that!! I hope to get lots more done in 2012. 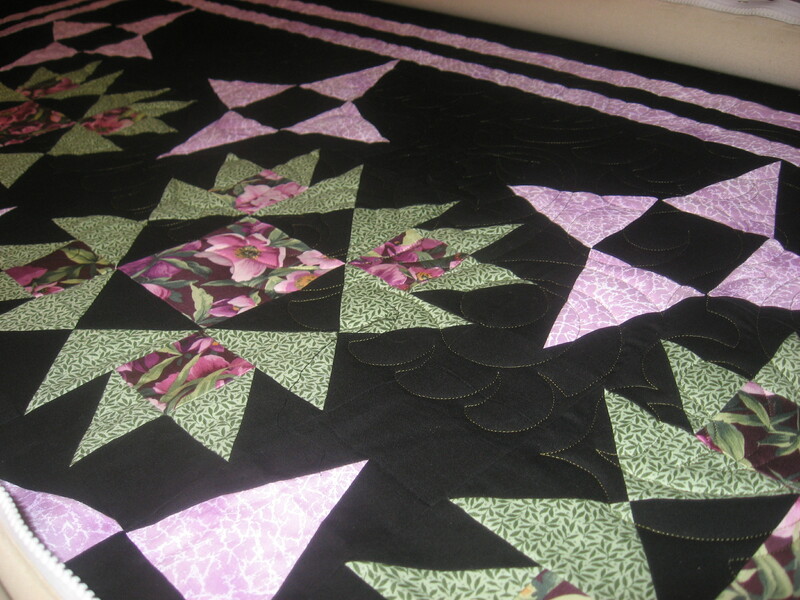 I figured I could start the new year off with one quilted. That’s one step closer to getting it off my UFO list. I’m using a panto that’s quilting really fast. I’m not sure what the name is, it’s the first time I’ve used this pattern. I have a custom job on Millie, I can’t show it. 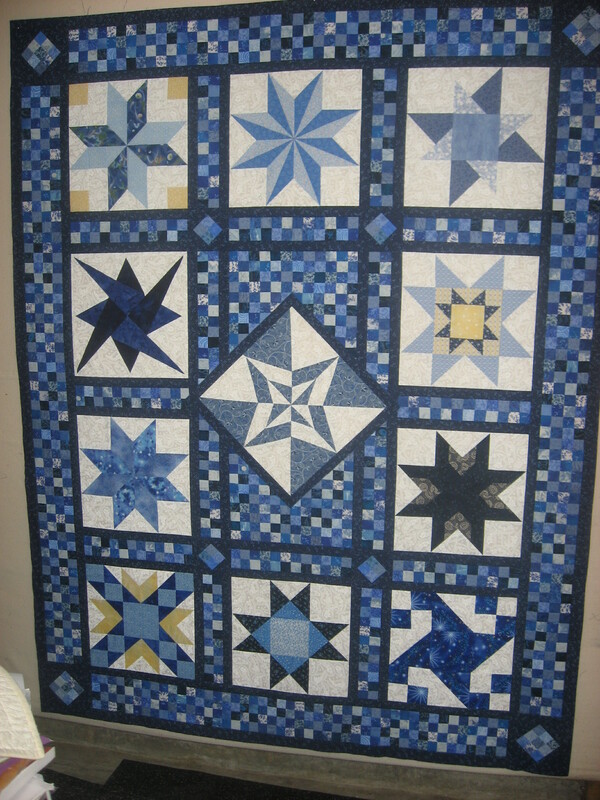 I can show the quilt top that I finished a while back. LOL! I don’t think I ever posted a picture after I got all the borders done. Here it is…..
That’s it for now. Hopefully next year I will keep up with blogging a little more often. I seem to go in spurts! Oh well, have a safe and happy new year!